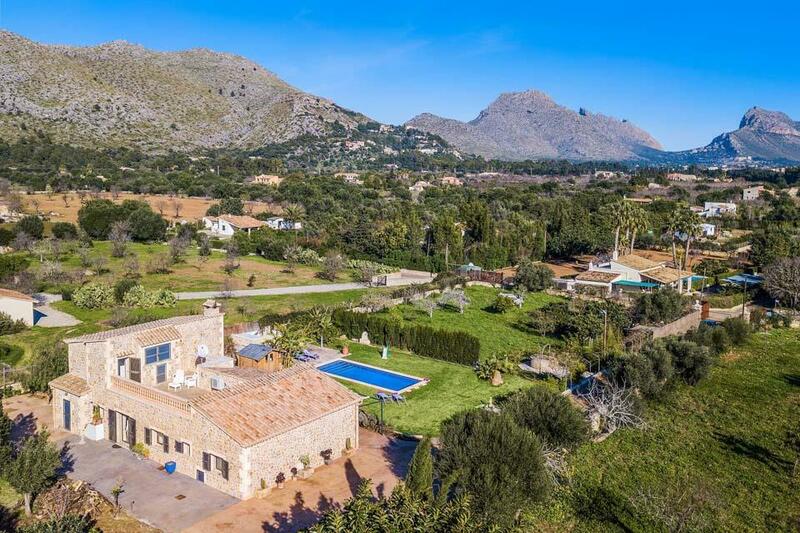 Set in a peaceful location yet just a short drive away from the popular nearby resorts of Puerto Pollensa, Pollensa and not forgetting Cala San Vicente with its beautiful bays, perfect for snorkeling and extremely popular with the locals. 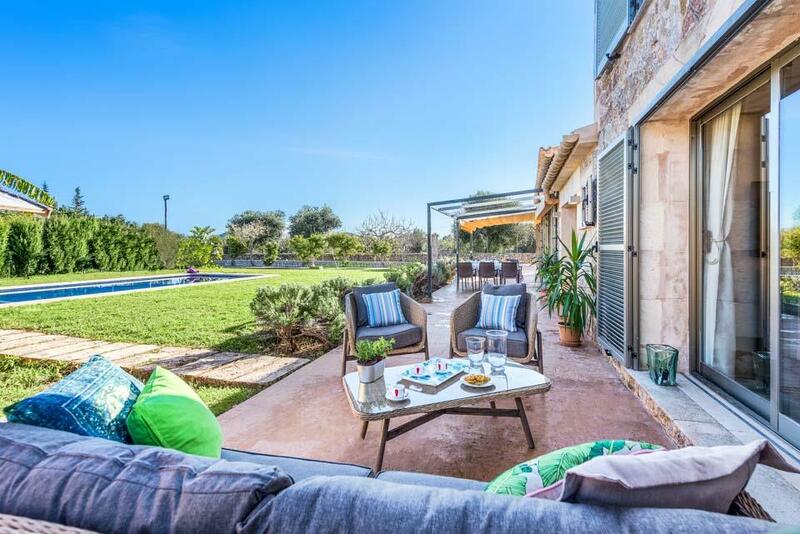 As you drive through the gates you are welcomed by a very grand two storey stone clad villa with luscious lawns and a large pool. 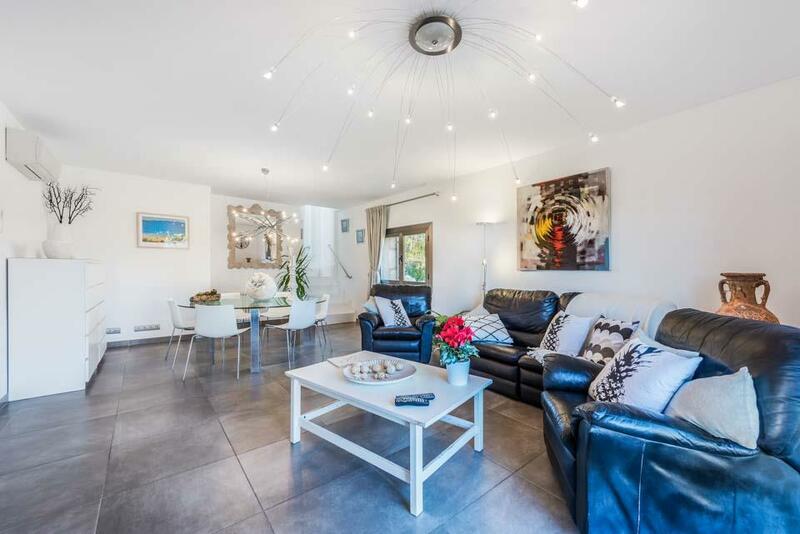 You’ll be equally pleased once you enter the villa as it is tastefully decorated throughout with modern fresh décor. 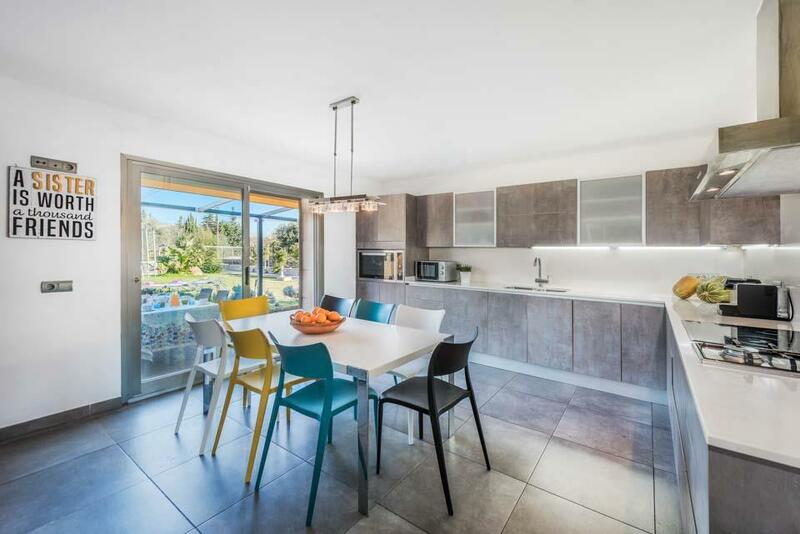 There is a large kitchen area with a dining table; the doors can be opened up overlooking the pool, a great area for family breakfasts. 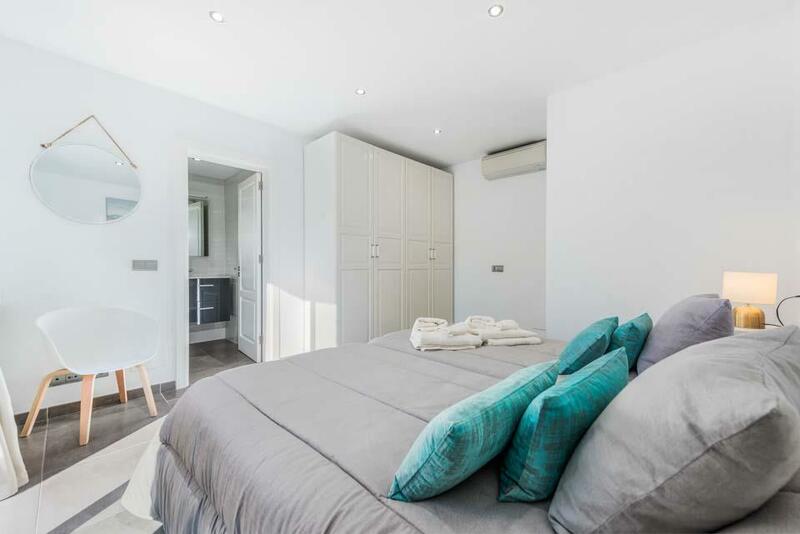 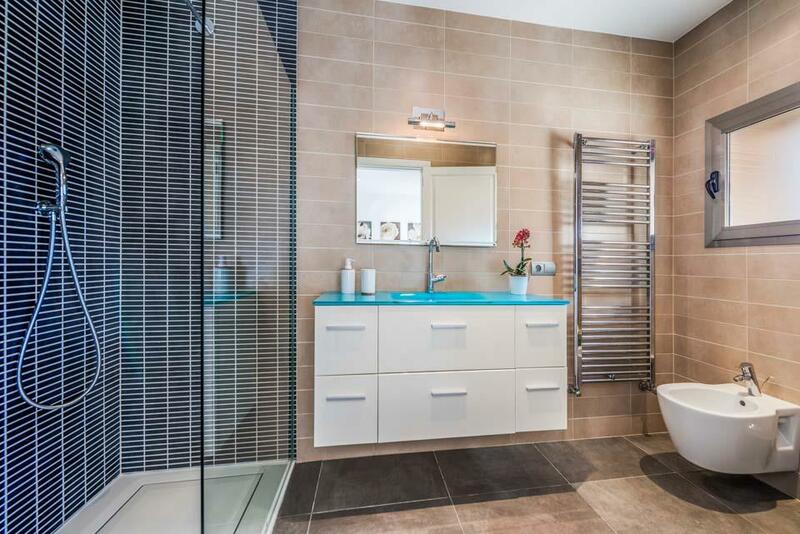 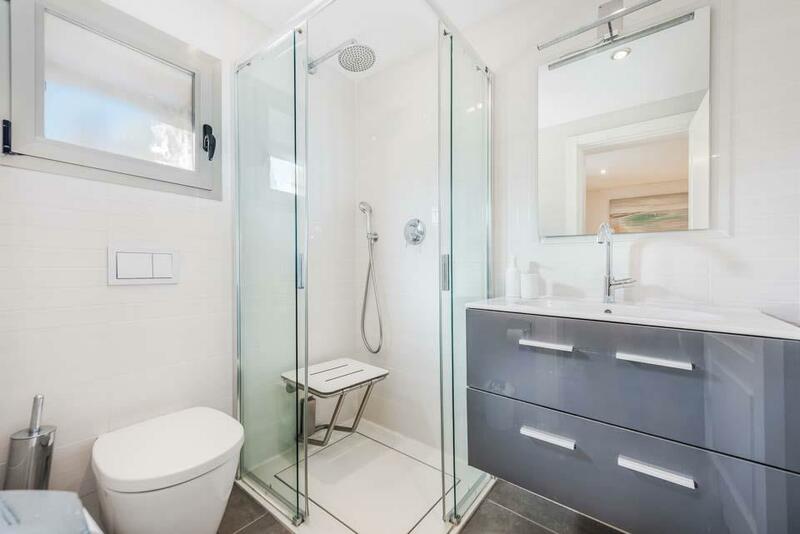 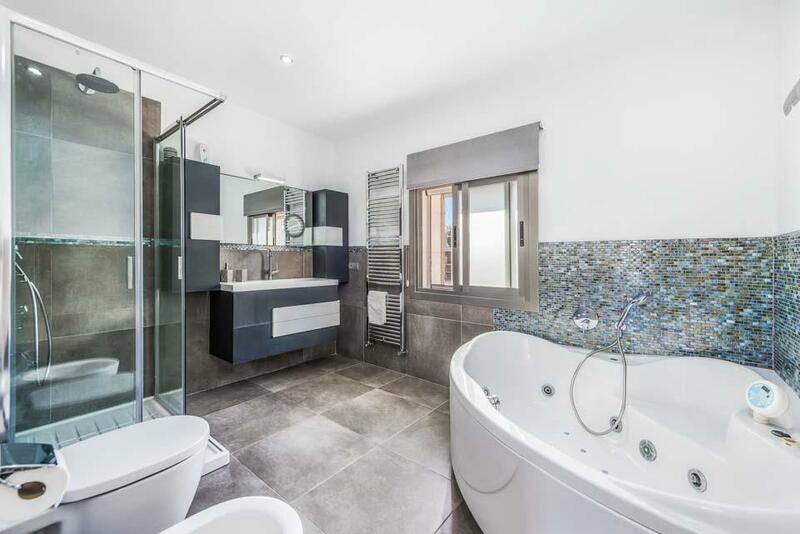 There are three beautifully finished bedrooms on the ground floor all with their own en-suite bathrooms. 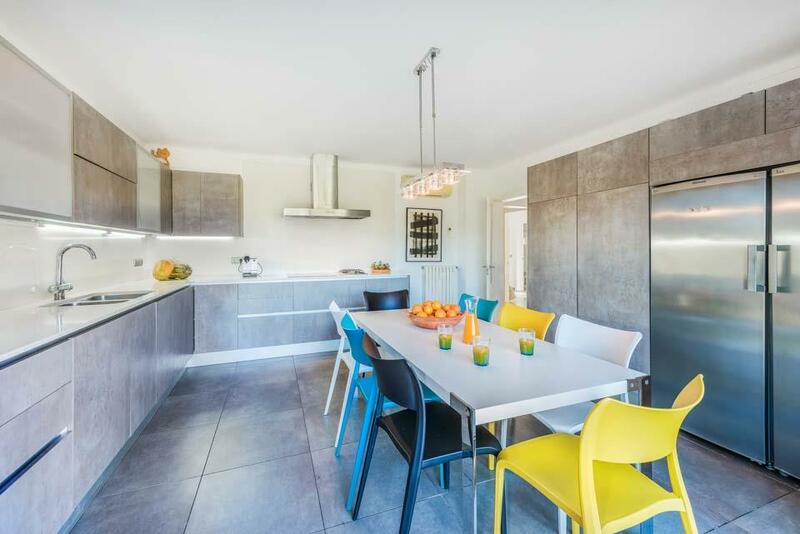 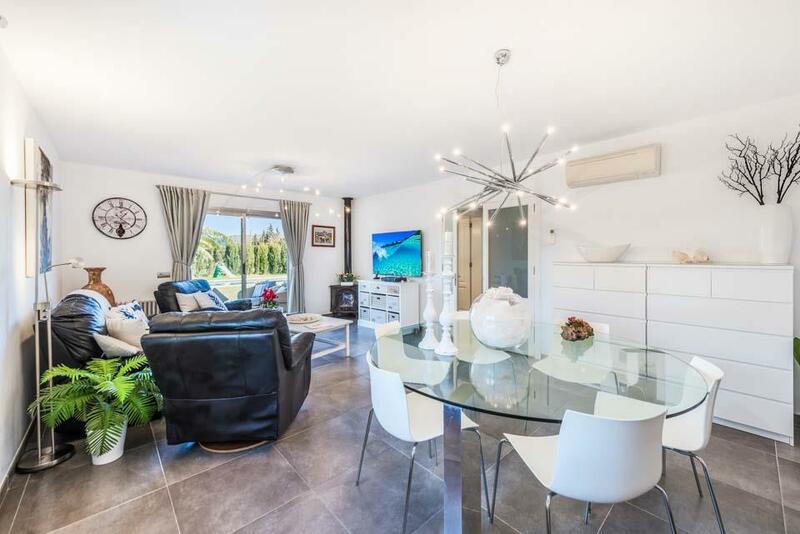 On the same floor you also have a large family living dining area which opens up onto the front terrace overlooking that tempting swimming pool. 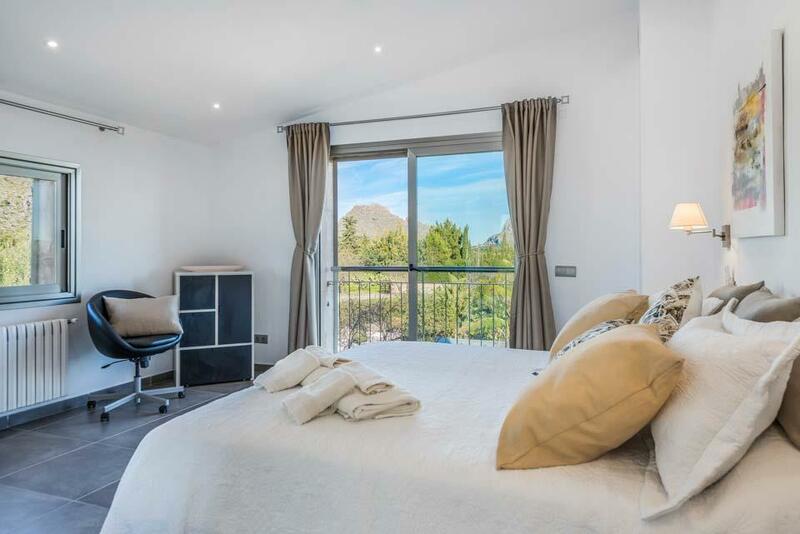 The master bedroom is on the first floor which again has its own large en suite and a separate door which leads to the roof terrace boasting spectacular views of the surrounding countryside. 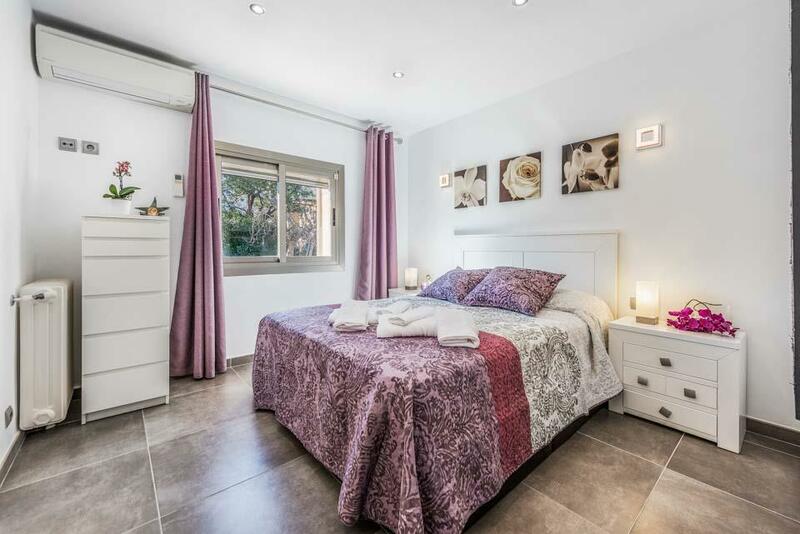 All the bedrooms have air conditioning which is greatly appreciated in those hot summer months. 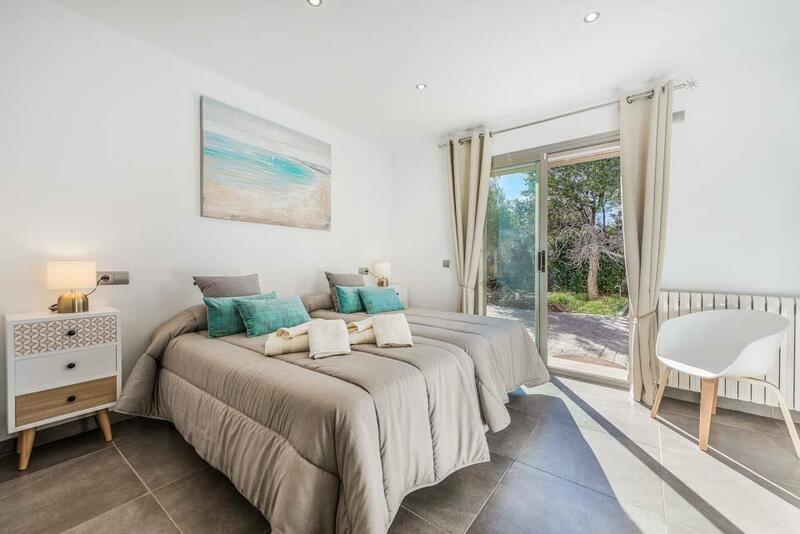 A perfect home from home for an unforgettable family holiday. 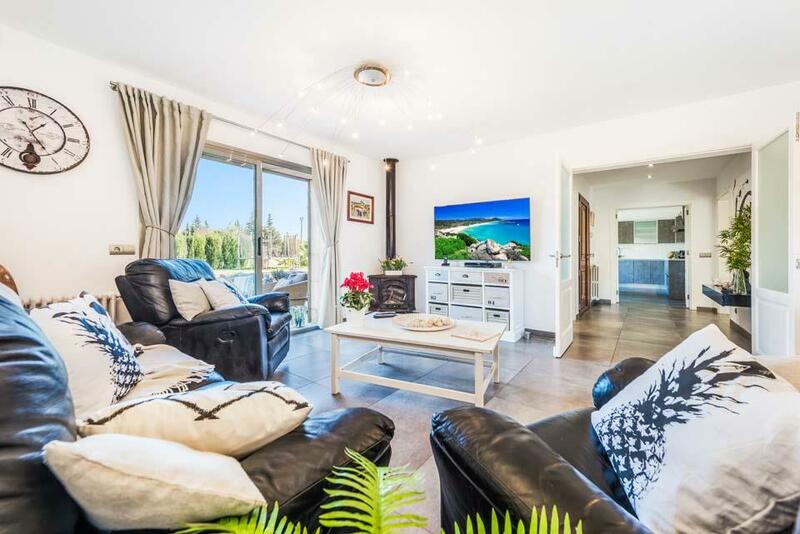 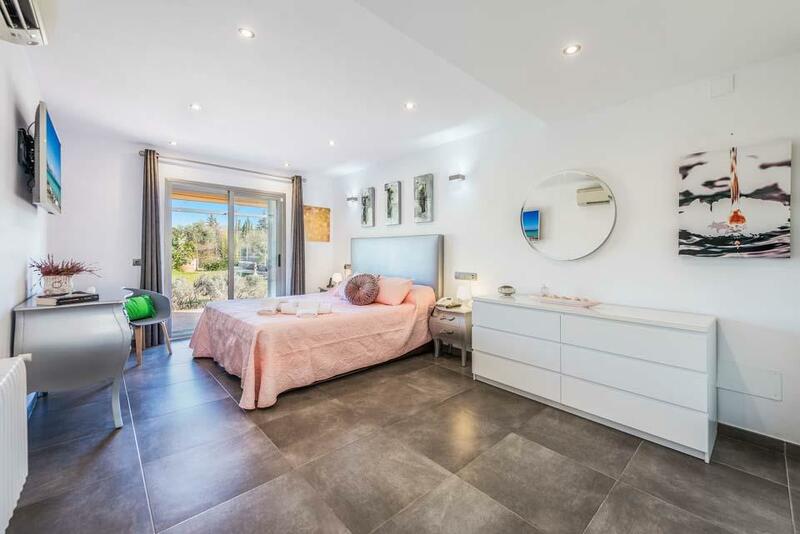 Can Cabot is a fabulous family villa located in the residential area of Llenaire and within 200 metres of the wonderful sandy beach of Puerto Pollensa. 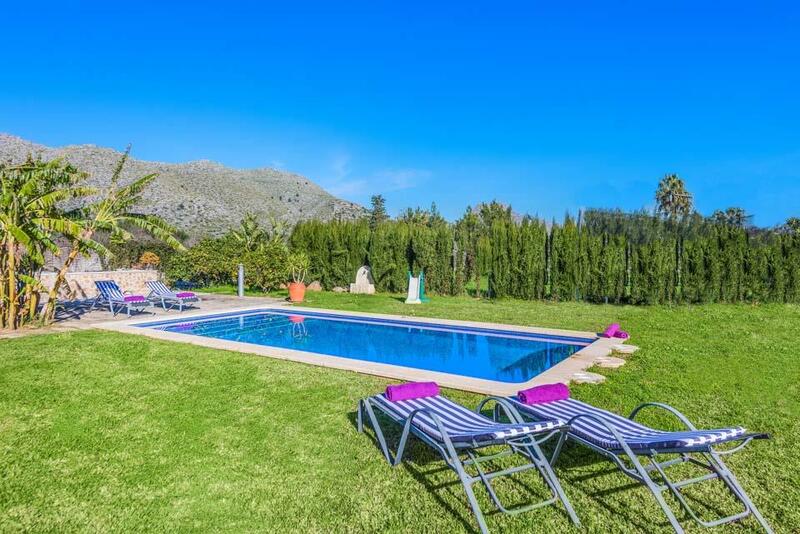 The villa has recently been refurbished with a pleasant combination of traditional and modern touches.. 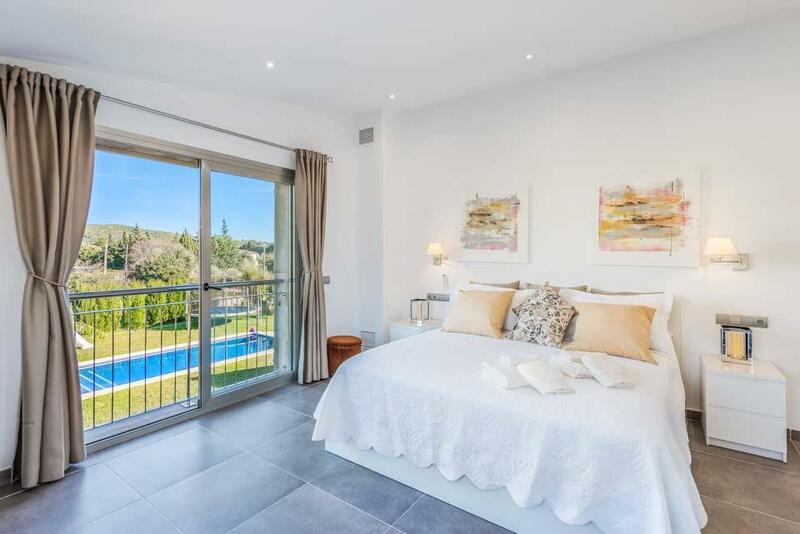 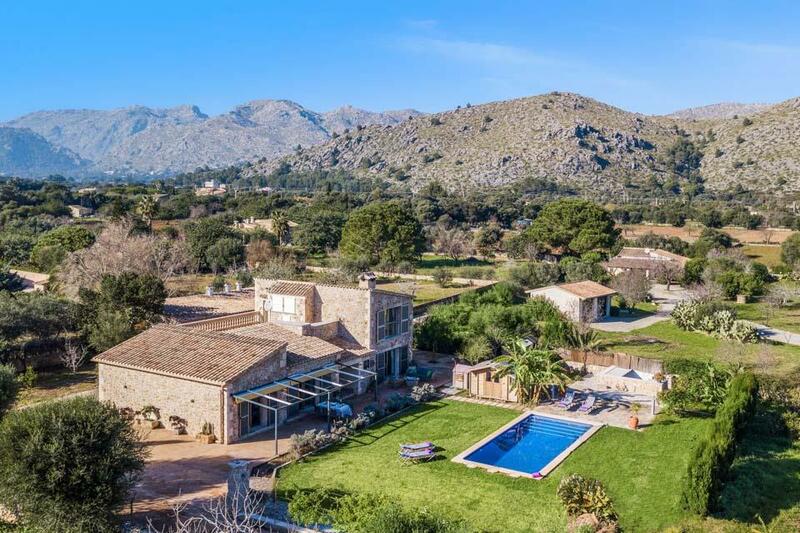 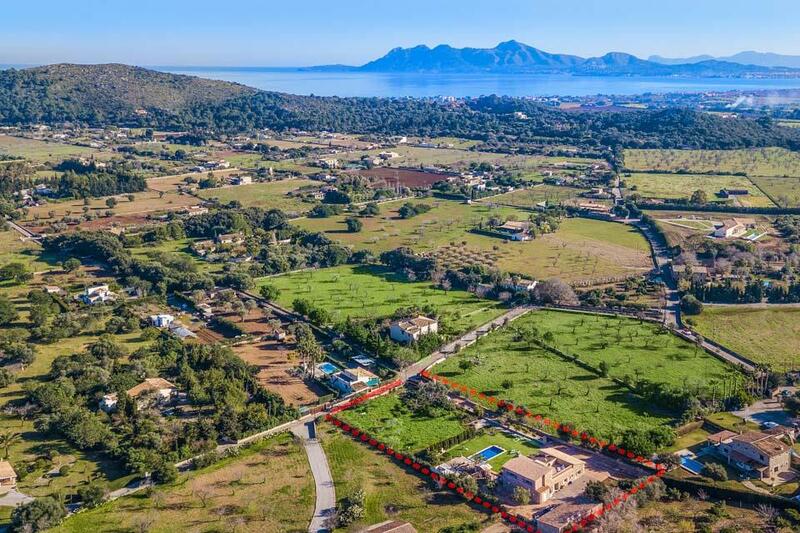 This lovely traditional Mallorca villa occupies a large plot and is conveniently located just 400m from the safe sandy beach in Puerto Pollensa. 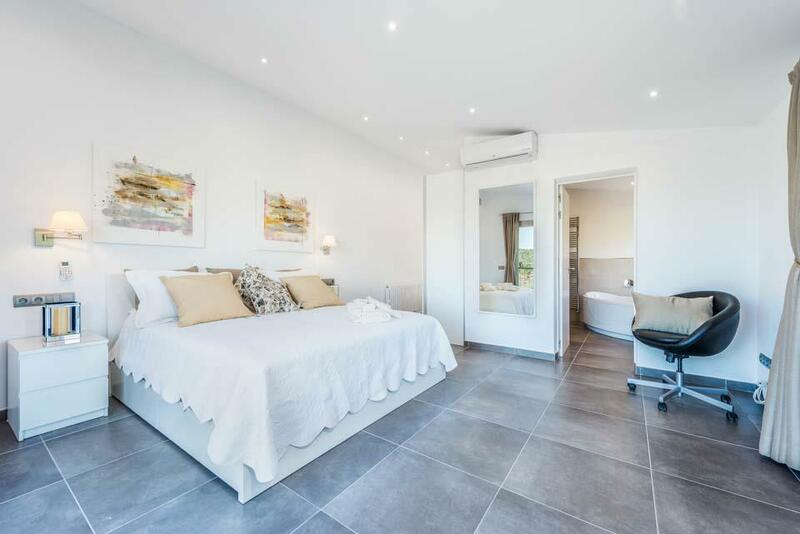 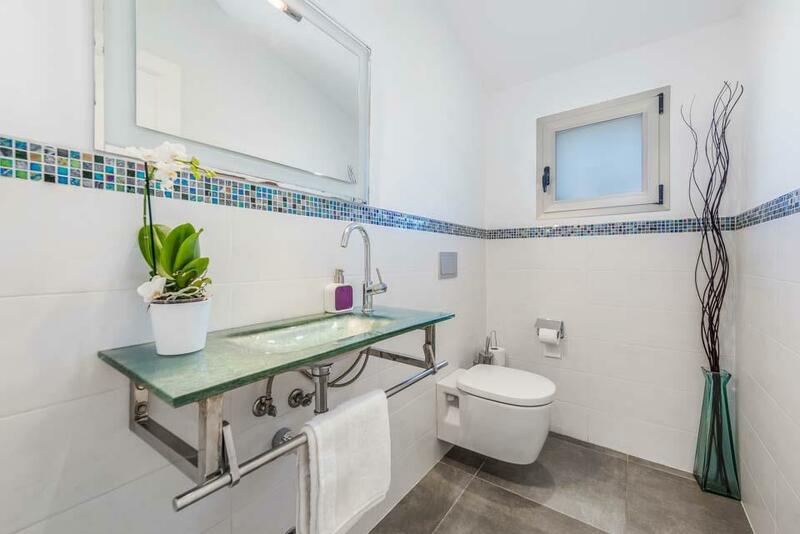 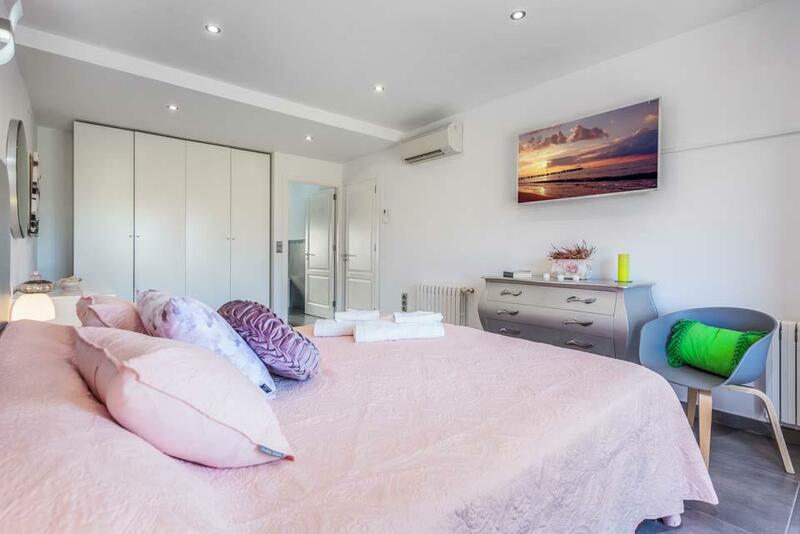 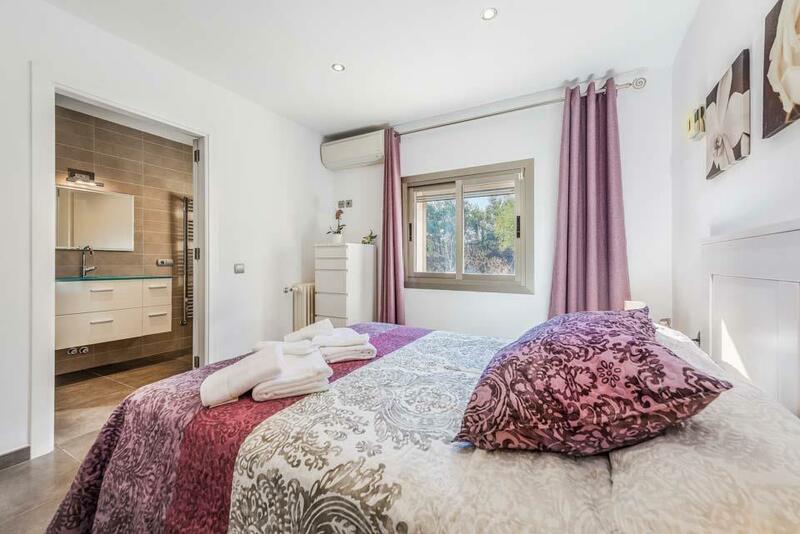 There are a number of shops, restaurants and a supermarket close by within easy walking distance from the..
Villa Pinza Dos is a bright and airy semi-detached villa situated within walking distance of the beach and resort facilities of Puerto Pollensa. 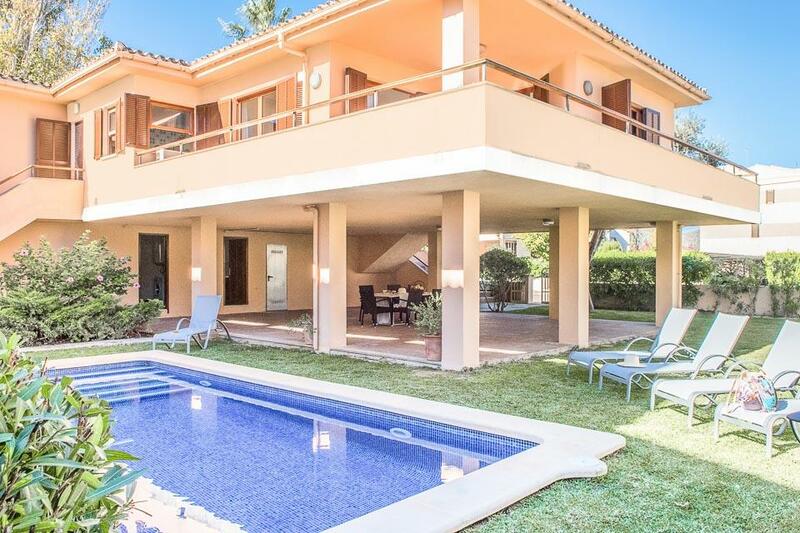 Set over three floors, this spacious villa features an unusual layout where you will find a large double bedroom..